By Sara Duane-Gladden in Artwork. Updated on August 3, 2018 . 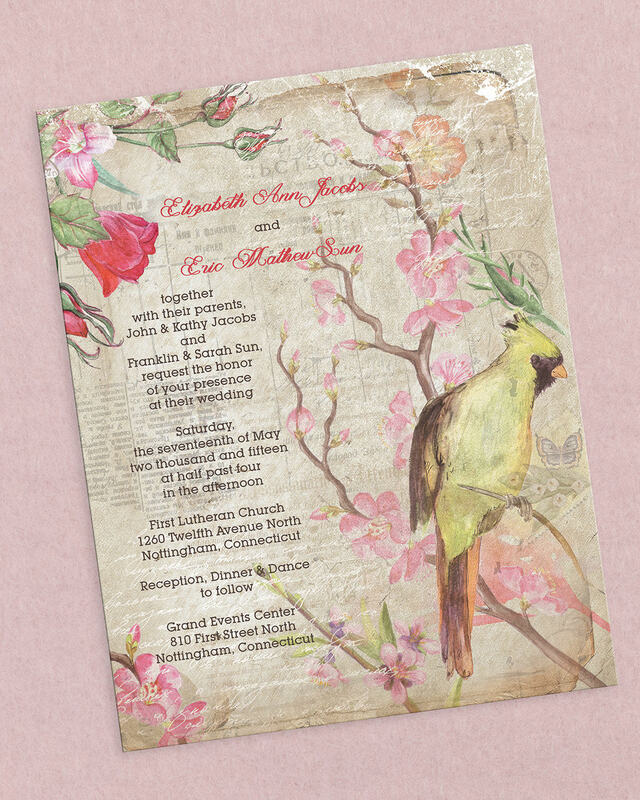 Spring is creeping up on us and with April showers come May flowers – and weddings. Odds are you might know someone who was recently engaged. After all, what is known as “engagement season” has just ended, as more people pop the question between Thanksgiving and Valentine’s Day than the rest of the year. 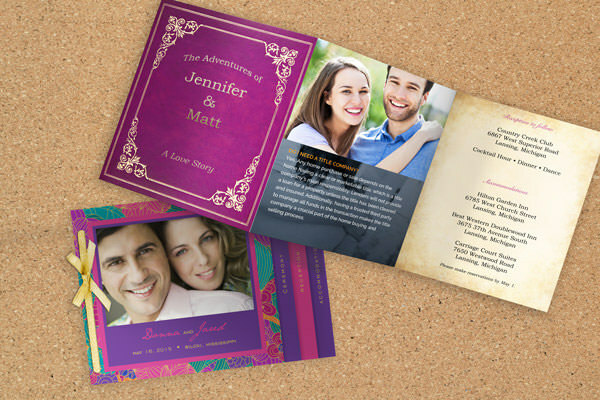 Soon, you’ll probably get a wedding invitation in the mail. Or perhaps you’re a graphic designer and you’ve suddenly been inundated with “save the date” and wedding invitation design requests. 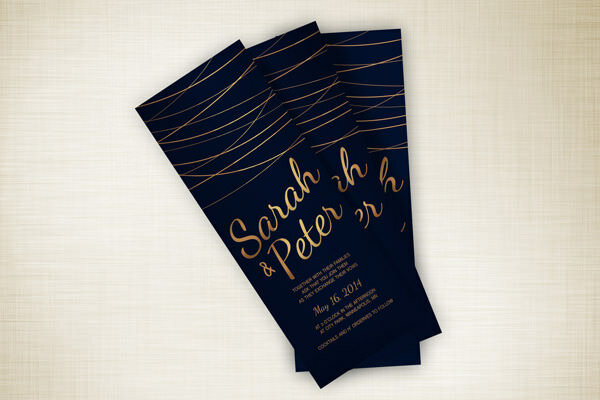 What wedding invite design trends are likely to be popular in 2015? 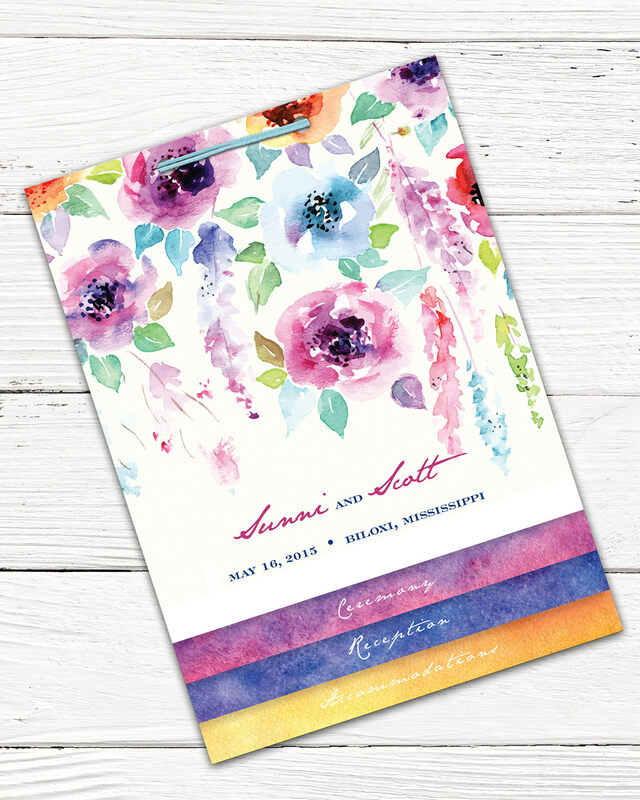 We’ve reviewed hundreds of real-world designs and these are how the wedding invitation design trends are shaping up for 2015. 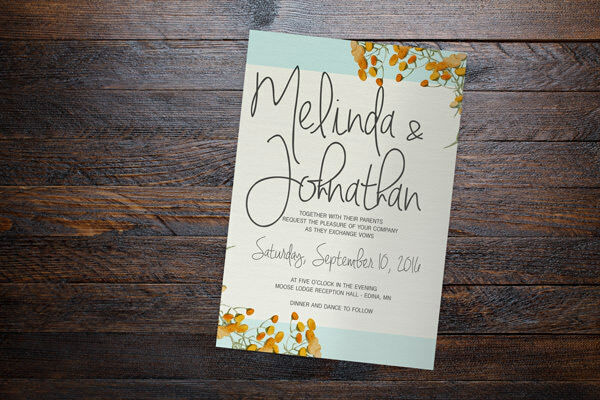 The vintage look has been a trend for several years, and different kinds of flowers seem to always be in style for wedding invitations. 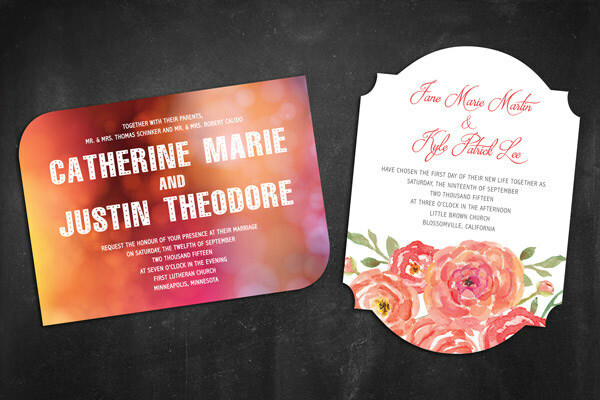 This year, the trends are merging to form a variety of floral and retro looks that can be personalized to each couple. 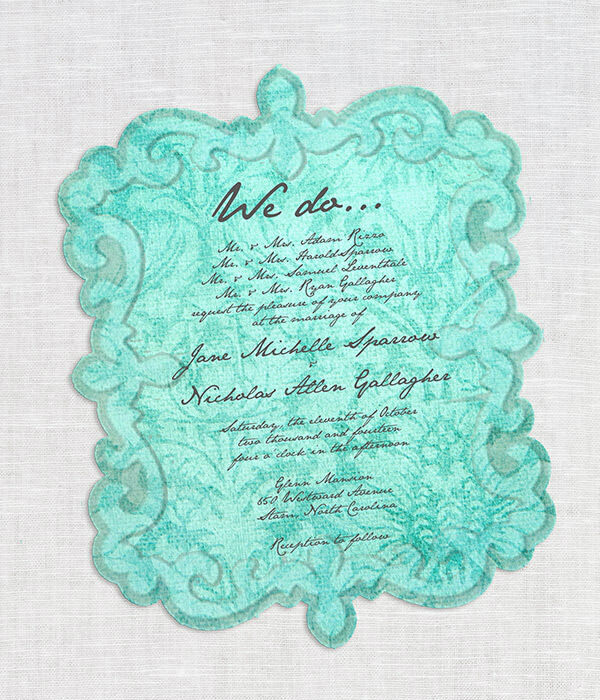 For example, the colors could be dated, such as stylized blooms that almost look like 1970s paisley or realistic-looking long-stem flowers like you might see in a 1920s wedding bouquet. 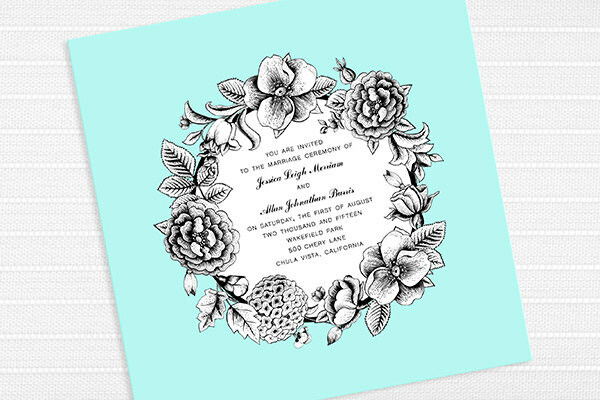 With the vast number of potential flower and color combinations, vintage floral invites could be as varied as the couples themselves. 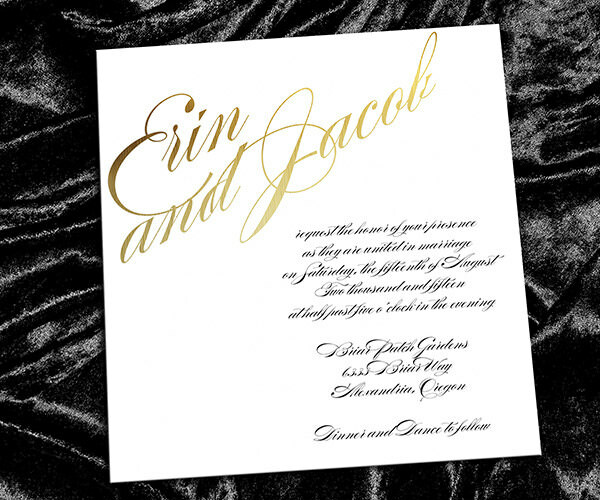 Foil stamping has become popular to give wedding stationery a glimmer of gold or silver, especially in the form of featuring the bride and groom’s names in gold. This can be expensive, though. Luckily there are other ways to get the look of precious metals with print. 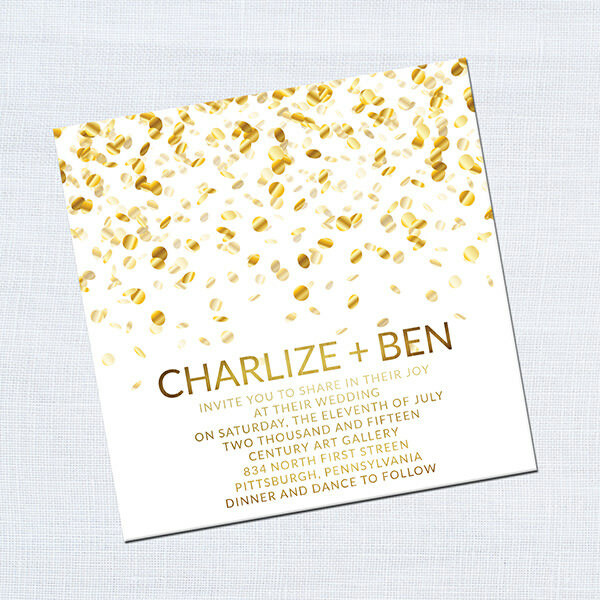 Some printers stock metallic papers with varying degrees of shine, from just a slight glitter all the way to an almost mirror-like reflective metallic look. Additionally, a decent designer should be able to create the illusion of silver or gold with the right colors and gradients. 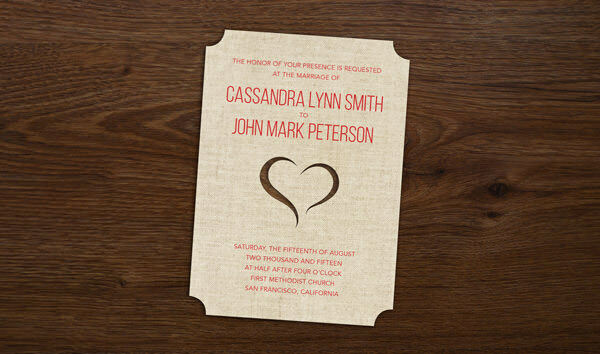 Many people send the standard rectangular postcard style or folded wedding invitation. 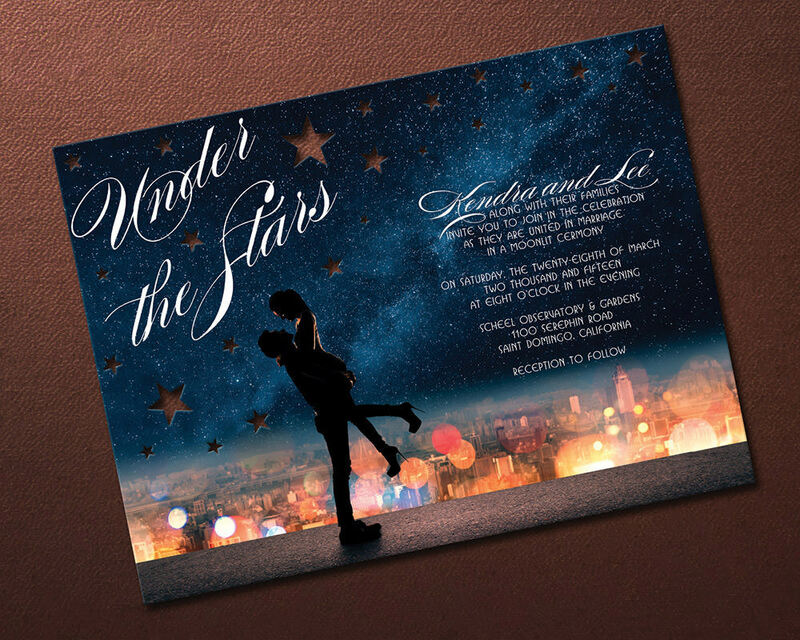 With technology like digital laser die cutting greatly reducing the cost to die cut small orders, more couples will be able to opt for truly unique shapes for their wedding invitations or other stationery. This could be as simple as clipping or rounding corners to more complex shapes, such as the frame-like cutouts shown here. Why stop at just clipping the corners or framing the edges? 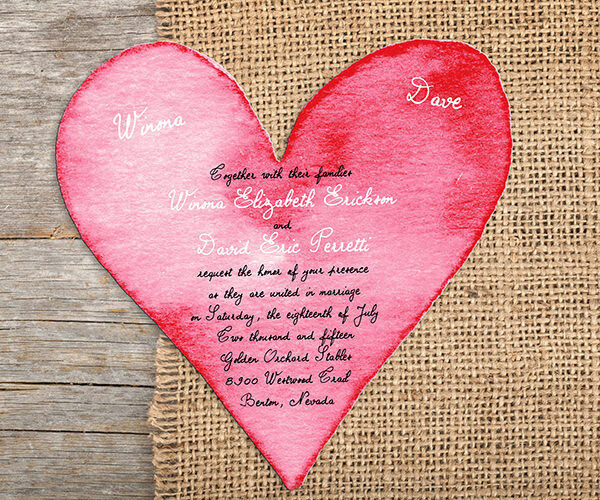 Cutouts in the main body such as stars, flowers, hearts or filigree within the invitation can give it depth or even a three-dimensional look. 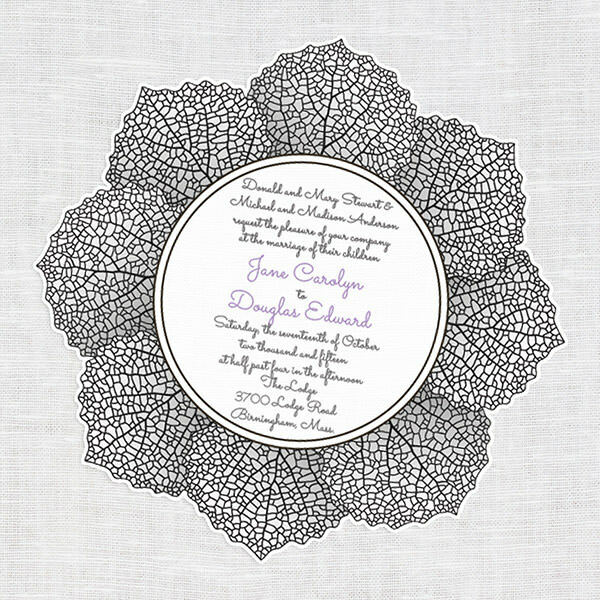 The complexity of the cutouts will depend on the digital die cutting provider. 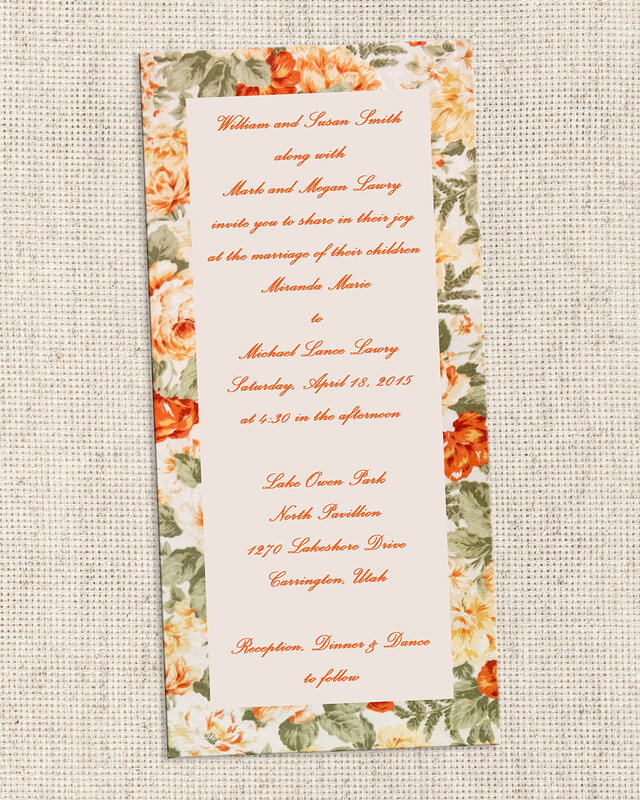 It is also possible to combine this trend with the vintage floral style. 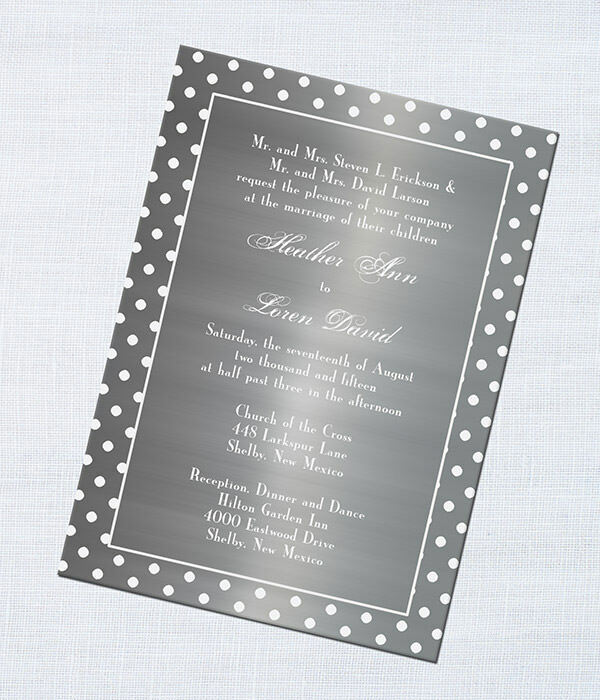 The one-sided, flat invitation has been popular for a while. It’s only natural for grooms-and-brides-to-be to rebel and try something more long-form. 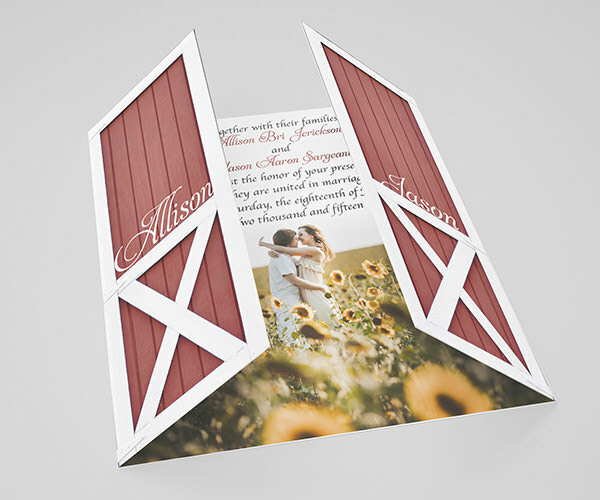 Multi-piece, Z-fold, and even accordion style wedding invitations allow enough space to illustrate and narrate the story of their love, show a collage of photos of the happy couple, or otherwise connect more deeply with their guests than a simple “Who/Where/When” single-sided wedding invite. 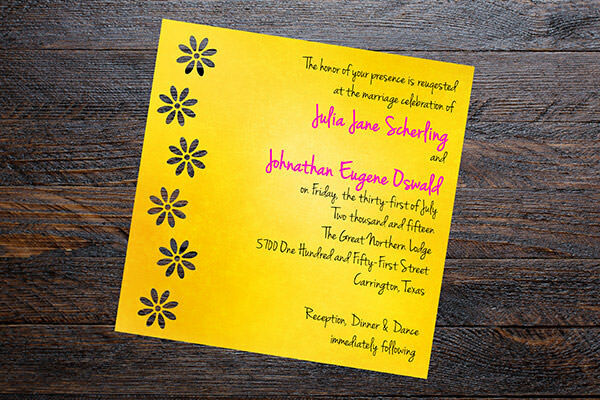 More and more couples are looking to send invitations that shatter the molds of tradition and explore how truly creative a wedding invitation can be. Editor’s note: This post is written by Sara Duane-Gladden for Hongkiat.com. Sara is the editor for Smartpress.com, an online printing service based in Minnesota, and a contributor to the Smartpress.com blog. She also works as a freelance copywriter and photographer in her spare time.